Submitted by mahoney on Fri, 09/22/2017 - 4:26pm. POI Info: Truly an International House of Pancakes! Locations of all IHOP restaurants in the US and Canada, listed on the website. Listing includes operating hours with complete phone numbers and addresses. About: IHOP restaurants feature moderately priced, high-quality food and beverage items, and table service in an attractive and comfortable atmosphere. 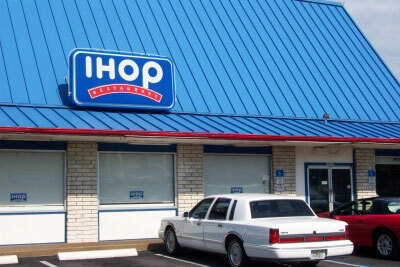 Although IHOP restaurants are best known for their signature pancakes, omelettes and other breakfast specialties, IHOP restaurants are open throughout the day and evening hours (some even open 24 hours) and offer a broad array of lunch, dinner and snack items as well. Deleted locations in Foley,Al and Spanish Fort,Al. Added 2 missed locations. Also file now includes operating hours for all locations except for a few that were not listed. Updated coordinates for #3110 in Ysplant, MI. Thanks to renegade734. Corrected spelling errors, no coordinate changes. Corrected coordinates for Folsom, CA & cleaned house. IHOP #1605 - CARSON CITY reopened yesterday, December 15th, 2011. Thanks bobinot! Added Canada (18), Guatemala (2), and Mexico (13) locations & changed name to match. Corrected coordinates for #753 - SAUGUS, CA, and #783 - SANTA CLARITA, CA. Added 9 NY locations and cleaned up the .csv database. Reported Costa Mesa location to remove from the file so Miss POI removed it. Miss Poi edited the file and removed duplicate locations.